Do Gifted Children Need Less Sleep? Parents of gifted children may observe that these young people appear to need fewer hours of sleep than their peers do. Consider the case of a parent of a 12-year-old gifted son. The parent noticed that the boy didn't sleep much as an infant and struggles with insomnia in middle school because he can't seem to "turn off his brain." Is such a phenomenon common with gifted kids? 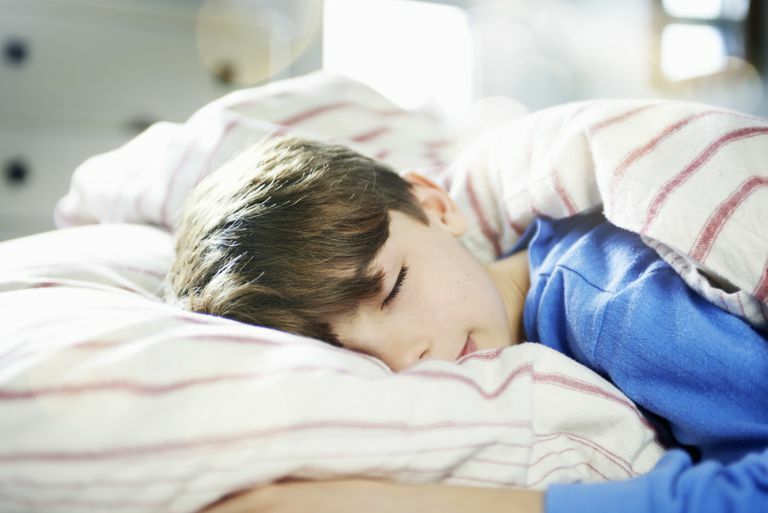 Learn more about the sleeping patterns of gifted children with this review. If your gifted child can't seem to fall asleep or sleeps only for a few hours, learn how to respond appropriately. One of the first things parents of gifted kids notice is that their children don't seem to need much sleep. Of course, they might not know that their children are gifted as infants, even though signs of giftedness might be apparent at this young age. What parents of these children do know, however, is that their kids don't seem to sleep as much as other kids do. The hours they sleep during the night are less, their naps are shorter and the age at which they give up naps comes sooner. This can be extremely frustrating to an overworked or stressed parent. But not sleeping much may be normal for some children, especially gifted ones. Gifted children, however, don't just stand out for sleeping less than their peers. Gifted kids seem to be able to function quite well with less sleep than their age mates, but they can sometimes have a difficult time getting to sleep. Many kids describe it as being unable to shut off their brains. They simply can't stop thinking. Interesting thoughts come into their heads, and they pursue those lines of thinking. It could be ​a school project or a hobby. Questions related to these matters may pop up, and gifted children will rack their brains trying to come up with solutions. They can spend hours wondering how something works and pondering the reasons why. It generally doesn't help for parents to turn off the lights or order these children to get to sleep. If they could, they would! Parents should take note of how their gifted children function during the day. Do they seem sluggish or alert on most school days? If children seem to be alert despite getting fewer hours of sleep than their siblings or peers, they may be getting an adequate amount of rest. In contrast, if they appear to be sluggish, try to help them go to bed earlier and for longer amounts of time. Help these children wind down at night by limiting their exposure to activities that might overstimulate them. The same goes for bright lights from computers and other devices that might make it harder for them to fall asleep. Give them a cut off time for eating and exercising, both of which can keep children and adults alike up if done too late in the evening. Educate children about the importance of sleep. Tell them how sleep refuels the mind and the body and even fosters healing processes. If these methods don't help, talk to a pediatrician about the best ways to get the child more sleep.